I am a big believer in traveling with only carry-on luggage. It makes your travel experience easier in so many ways. There’s no way the airline can lose your luggage if you haven’t checked anything. You won’t get weighed down by heavy bags if you limit yourself to carry-on only. And you won’t have to deal with expensive checked bag fees. But what if you just can’t go carry-on only? Maybe you’ll be flying on a much smaller plane that has stricter carry-on rules, or maybe you’re just not quite ready to travel with less stuff. What should you always pack in your carry-on bag? Before we get started on what things are important to pack in your carry-on bag, here are a few frequently asked questions about what things are allowed on an airplane. You are permitted to bring liquids in containers of 3.4 ounces (100ml) or less, and all containers must fit in a one quart (about one liter) clear zip-top bag. A 5 ounce container will not be allowed, even if it only has 1 ounce of liquid in it. There are several items that you might not think about that are considered liquids, like peanut butter, liquid makeup, snow globes, etc. You ARE allowed to bring an empty water bottle through security and fill it up on the other side. Can you take a razor through security? Since razors are sharp objects, they can cause confusion about whether or not you can pack them in your carry-on. Straight razors and blades for safety razors are not allowed in carry-on luggage, but disposable razors and electric razors are permitted. Read more about bringing a razor on a plane. Can you take food on an airplane? In general, food is allowed in your carry-on. However, it must meet the liquids restrictions. Foods that spread, like peanut butter, are considered liquid, so you would only be allowed to have 3.4 ounces (100ml) of peanut butter, and the container must fit in your liquids bag. Food or beverages in frozen form are allowed, but only if they are completely frozen when you go through the TSA security check. This may vary in other countries. You can take a lighter on an airplane in your carry-on, but usually only one is permitted. It’s also worth noting that lighters can only be in your checked luggage if they have no fuel in them. Find out more about taking matches or a lighter on a plane. Can you bring e-cigarettes or vaping devices on a plane? Yes, you can take e-cigarettes or a vaping device on a plane. In fact, TSA requires you to pack your e-cigarette/vaping device in carry-on, not checked luggage. The liquid you need for it must also fit within the liquid allowances. Find out more about bringing a vape on a plane. Can you pack hair straighteners/flat irons, curling iron, or hair dryers in your carry-on? If you want to travel with a hair dryer, curling iron, or hair straightener/flat iron, you can pack that in your carry-on luggage. I recommend not packing the hair straightener while it’s still hot, but if you must because of timing, wrap it in a small towel so the hot plates don’t burn anything in your bag. This might be obvious, but it’s worth mentioning. Always keep all of your identification in your carry-on. Even if you’re flying internationally so you have your passport with you, don’t pack your driver’s license in your checked bag. Losing any kind of ID is not fun, and if the airline misplaces your luggage, you might never see it again. Money, credit cards, jewelry, or anything else of monetary value should never be packed in your checked bag. Again, if your luggage gets lost, so will your money. Not only that, but unfortunately there are a few dishonest people out there, and you don’t want to take even a tiny chance that someone will go through your bag and steal something. Do you have any essential medications that you take on a regular basis? 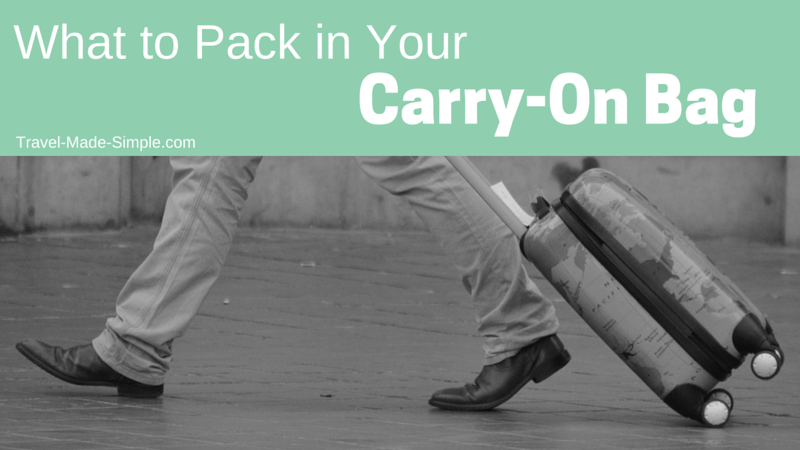 Don’t just pack what you need for your flight in your carry-on, put it all in there. If you only have a day’s worth of medicine, and your luggage gets lost for three days, you could be in big trouble for a couple days. If your medication is liquid or you need to carry needles, get a letter from your doctor. This should help you avoid problems taking restricted items on the plane in your carry-on bag. Baggage handlers are not known for being gentle with luggage. Even aside from that, an airplane is a moving vehicle and there’s always the possibility of turbulence. Electronics and other fragile items could easily break during any part of the travel process, from the moment you hand over your bag until it finally arrives on the luggage carousel. Laptops also have lithium batteries, which are generally not allowed in checked luggage due to fire risk. Electronics have the added risk of being stolen. Just like your money or jewelry, you don’t want to take the chance that someone will go through your bag and steal your iPod, laptop or camera. If you have anything sentimental, this should also be packed in your carry-on. Fragile or not, you wouldn’t want it to get lost because chances are no amount of money can replace something that has sentimental value. Note: Recently the US and UK have put into place restrictions on electronics in carry-on luggage for flights from certain countries and on certain airlines. Check with your airline ahead of time about whether you can pack tablets, cameras, or laptops in your carry-on luggage. Sign up for the Travel Made Simple newsletter here, and you’ll get a link to download my detailed packing list. 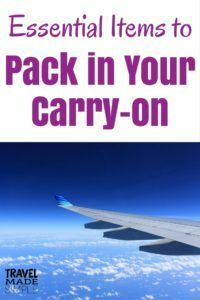 Even if you’ve decided to bring larger bottles of toothpaste, shampoo, conditioner, etc., it’s still a good idea to pack an approved bag of liquids for your carry-on, along with your toothbrush. One change of clothes could come in handy as well. If your checked luggage gets lost, at least you’ll something to change into when you arrive, and you’ll be able to brush your teeth and take a shower. You might still have to go buy a few things if your luggage doesn’t turn up within a day, but at least you won’t need to rush to find a store right away. >>Read more about bringing makeup in your carry on. Flights can be really boring, even if you have someone to talk to. Having some music to listen to and a book (or an Kindle) to read will help the time pass. If you travel with a laptop or an iPad, make sure you have some movies loaded up to watch on the plane. Take some snacks with you, whether it’s something from home or you pick up something at the airport. Many airlines don’t give you food on domestic flights anymore (in the US anyway) and even on flights where they do feed you, it’s never really good food. Having something to snack on that you know you like will help get you through the flight. And buy a bottle of water once you get through security. I always bring some tissues with me. The air on airplanes is incredibly dry and can irritate your nose. Plus bathroom travel hassles can start with your flight if they run out of toilet paper. I try not to bring too many “just in case” things when I travel, but tissues are always a good idea. Looking for more packing tips? 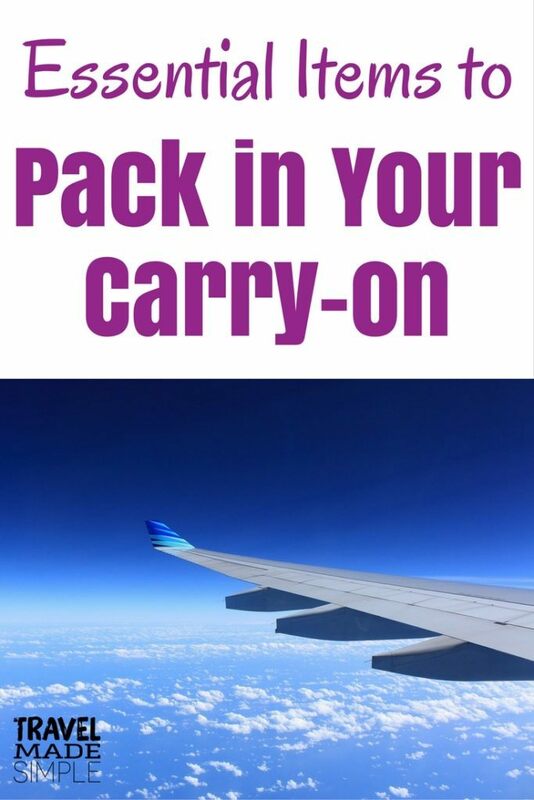 Check out this book about how to travel carry-on only. It’s written by another travel blogger, and I highly recommend the book. Still not sure if an item is allowed in your carry-on? For US travel, check the TSA website to find out what you can bring. 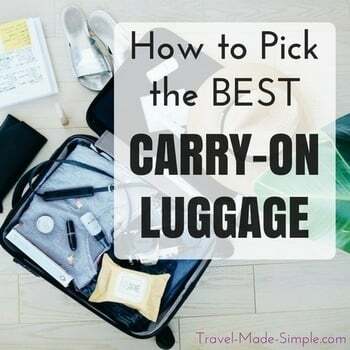 As much as I love traveling carry-on only, I understand that it’s not always practical, and it might not be comfortable for everyone. But there are some essential items you should always pack in your carry-on bag. Unfortunately your checked luggage could get lost or mishandled, and your things could break or never be seen again. You also want to make sure your flight experience is as enjoyable as possible, and having things like snacks and entertainment in your carry-on bag will help. Before you get on that flight, check the airline’s carry-on luggage size restrictions and then use this list to pack your carry-on bag. But when you stay in the same place for a week, it’s easier to do laundry! Which means you can pack less, and then find somewhere to wash your clothes. For Australian outbound international travelers there may be additional benefits in going the carry on only route. For instance according to the following government website which is for the Australian Customs Service http://www.customs.gov.au/site/page4646.asp , there is something called the Tourist Refund Scheme which will refund you the Goods and Services Tax (GST) on all goods that you buy and carry on or wear aboard the plane when you leave. You need to register for this scheme and there are links on the customs website you can go to in order to find out where in the airport you are leaving from you need to go to in order to register. Also for Australians who are taking medicines with them out of the country that were bought under the Pharmaceutical Benefit Scheme (PBS listed medicines that is,) you will need to fill out certain documentation and you are restricted in the amount of medication you can take out of the country. For example if you’ve got 90 days worth of medication with you and you’re only going to be out of the country for 60 days, you can only take 60 days worth of medication with you. This guide in PDF format http://www.customs.gov.au/webdata/resources/files/GuideforTravellers-WEB2.pdf details the requirements for travelers needing to declare goods in regards to medicines, the Tourist Refund Scheme I talked about earlier and also any duty-free concessions you may be entitled to. Further information can be found by contacting Customs directly through this webpage http://www.customs.gov.au/site/page5439.asp or in regards to medicines through the Department of Human Services website at http://www.humanservices.gov.au/customer/services/medicare/travelling-overseas-with-pbs-medicine?utm_id=9 . Wow, thanks for all the great links Matthew! I never knew that about the refund scheme, sounds like a bit of work, but worth it if you buy expensive things that you can wear on the plane. The medicine stuff is always stressful for me because I have medicine I have to take every day, so I have to travel with it. I’m always afraid some customs agent is going to tell me I can’t have it in their country. And I can understand having limitations, but I always bring extra medicine. Not an extra 30 days, but maybe a few days or a week, because what if I lose some? Ugh, customs stuff is stressful. Thanks for all the great info though! Good tips! I travel mostly carry-on but winter destinations are harder since winter clothes just tend to be larger. When I do check a bag, I always pack a change of clothes and underwear in my carry-on just in case. Thanks Jennifer! Winter travel definitely makes carry-on harder, but that’s when I usually end up carrying my coat instead of packing it, and I just know I’ll wear the same shirts even more often because I have room for fewer. But I also try to avoid traveling to cold places unless there’s a special reason! Thanks! Exactly, you don’t need more stuff for a longer trip, you just need to find somewhere to do laundry! Very true, going shopping might be fun in a new place! Great tips, Ali! If you’re going to a warm weather destination (beach, lake, etc.) or your hotel has a pool, I always like to pack a swimsuit in my carry-on. Somehow lost or delayed luggage doesn’t seem quite so bad when you’re swimming or lounging in the water. Safe travels! Thanks! I hadn’t thought about the bathing suit, but being able to go to the pool or beach sounds like a good idea if you’re waiting on lost luggage! You actually end up needing less for a longer trip than you do for a shorter one. one thing that does throw a curveball is when you travel with small children. Then your carry-on space is taken up with toys, games, snacks(please NO sugary snacks), and stuffed animals. All the stuff to keep them busy so you don’t get “the stare” form the grumpy, impatient, and just plain rude traveler. Thanks Nathan! I can’t imagine all the extra stuff you need to bring when you have kids! As for the shorter trip, I tend to fill my bag no matter what, so I do often end up with more stuff than I need for a short trip. If I have room for “just in case” items, I cave and pack them. I try to avoid toiletries if I can because I don’t like the hassle going through security… have you got liquids etc. I guess I just figure there are so many other things I have to pull out of my carry-on bag to get through security, it doesn’t make a difference if I also pull out a liquids bag. So is it better to put the liquids in your checked in bag rather than your carry on?? Hi Judy! I don’t think one way is better than the other really. If you only need a small amount of liquids and you can keep it under the 3.4 ounces (100ml) per bottle and keep it all in one clear zip top bag, I see no reason why you shouldn’t take it in your carry-on. But if you’re checking a bag anyway and you simply don’t want to deal with the hassle of taking your liquids out at security, it’s totally fine to pack them in your checked bag. But I’d still put your liquids inside a plastic bag or a cosmetics bag of some kind because sometimes the air pressure makes those bottles leak, and you don’t want shampoo all over your clothes. I always add a few Tylenol, Ibuprofen and tums just in case or to help a fellow traveler out. Saline nasal spray/gel, antibacterial wet wipes and noise cancelling headphones are making transatlantic flights much more enjoyable. Those are great too, Jag! I haven’t sprung for noise cancelling headphones yet, but maybe I will one of these days, they sound nice. Thanks! When packing I will generally take older clothes or items I don’t find myself wearing all that much. No matter what country you visit there are always locals that would appreciate anything you might want to give them. This way you are helping them and it will leave you some room if you want to buy any additional items before returning home. So true Neil! There is always someone who could use some clothes, and it lightens your luggage. Thanks! Absolutely correct points mentioned. Money and ID Card are the most valuable things one must carry when traveling. Glad to help! Enjoy your time in Germany (my adopted home) and happy travels! I always pack an extra pair of socks in my carry-on, for use upon arrival. Travel is stressful, and your feet actually do swell up a bit in a pressurized cabin, and they sweat. Changing socks at the end of the flight (in the lav, of course) or upon arrival at the airport is a real pick-me-up and puts a fresh spring in your step as you complete your travel day. This, of course, is in addition to the emergency change of clothes in case your luggage is delayed. Great tip, Mike! Thanks for sharing! I have a question…I will be going on my first vacation in a couple months and so far this list has helped a lot. My question is with the liquid bag…can I have one in carry on and one in the checked bag? Can the ones in checked luggage be regular size bottles or does everything need to be travel size? I’m only going for a week so shampoo, conditioner and soap aren’t an issue so much as sunscreen would be. Going from Wisconsin to Jamaica I just want to make sure I have enough so I don’t have to spend triple to buy it there…. Hi Tasha! Yes, you can have liquids in your checked luggage, and they can be bigger than 100ml/3.4 ounces. So feel free to pack your larger bottle of sunscreen in your checked bag. Have a great time in Jamaica! Hi David, you can bring shaving cream and after shave in your carry-on bag as long as each bottle is 100ml (3.4 ounce) or smaller, and all your liquids must be in a 1 liter (1 quart) clear zip-top bag. Enjoy your trip to Turkey, beautiful country! Here is something I cannot find the answer to so far. I only take a couple of prescription meds. I line up two weeks worth of meds in a plastic box. Supplements like vitamins and a probiotic. Do I have to bring the full size bottles so the stuff can be identified? Or can I get by with the daily box thing filled with my stuff like at home? Hi Barbara! It really depends on the exact medication and the destination. If it’s a controlled substance (like something with codeine) it’s best to keep it in its original packaging. Some countries have stricter rules than others about certain medications, so it’s always good to read up on the rules of your destination first. For stricter countries or for certain medications, it’s also good to have a letter from your doctor. That said, I’ve never had anyone ask me about my own medications, though mine aren’t controlled substances. If you’re taking a vacation to Europe, you probably don’t need to worry about it and your plastic box would be fine. But always research the country first. As for supplements and probiotics, I wouldn’t worry about those either. I want to know if you can take frozen steaks in your carry-on,? How do you have to put them under the plane? Hmm…can’t say I’ve ever had that question before! In general, food is allowed as carry-on, with certain exceptions. I know I looked at getting fish from Pike’s Market in Seattle, and that is NOT allowed in your carry-on. It’s been several years, but I think that was due to the smell, so steaks wouldn’t have that problem. I just checked the TSA website, and it looks like it might be acceptable. Click here and then type in “frozen food” in the search box and read the details. It might also be worth asking the airline to be sure. Hi Keith! Yes you can, just make sure the liquid for the e-cigarette is 3.4 ounces (100ml) or less. In fact, TSA requires that you pack the e-cigarette/vaping device in carry-on, not checked luggage. I love to knit & crochet but cannot get a clear answer from Jetstar or Virgin re their carry on rules for these items. I have a tiny pair of blunt scissors that the Gov. website states are ok, but check with the carrier – but the carrier cannot tell me. Apparently it is up to the individual at security. So… can I take crochet hooks, knitting needles & tiny scissors on board Aus domestic flights, or not?? I use insulin will the stewardess put them(pens) in a fridge until I get to Ireland? Hi Jackie, you’ll have to ask them, but usually in cases like yours they will put your medicine in the fridge. I’d suggest calling the airline ahead of time and asking what their procedures are. Glad to help! 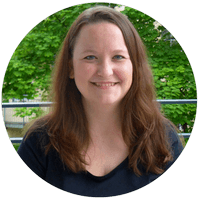 Germany is a great country, check out my Germany itinerary, and you’ll find links to lots of other Germany-related posts at the end of that post, such as a Munich itinerary, food in Germany, a Black Forest itinerary, some city-specific posts, and more! Have a great trip! hi Ali, these tips are really helpful I’m going to England soon! Do you mean about packing? The UK and the US are pretty similar when it comes to security rules and what can and can’t go in your carry-on bag. Might be worth checking with the UK airport security organization website about their rules for when you’re packing to leave the UK. Hi Liz! Your liquid toiletries must be packed in a one quart (one liter) clear zip-top bag, and each bottle must be 3.4 oz (100ml) or smaller. You must take that bag out of your luggage at security and put it through the x-ray. But you don’t have to take non-liquid toiletries out of your bag. I hope that helps! I don’t think that would be a problem, but I can’t say for sure. It’s not liquid, so that should be fine. It’s a processed thing, not a plant or meat, so that should be fine, too. But I keep finding conflicting info when I search. I see some places that say powdered baby milk is fine, but if you’re not traveling with a baby, it might not be allowed. If you try it, the worst thing that happens is they confiscate it at customs (if there’s even anyone at customs checking things…often in European countries it’s just a sign and you can walk through the “nothing to declare” door pretty easily) and if it’s confiscated, you’d just have to find a grocery store at your destination and buy it there. Hi Marissa! Moving is really different from traveling since you’re taking ALL of your stuff. 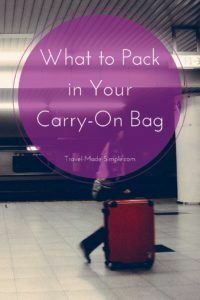 There are definitely some tips in this post and this one about what not to pack in your carry-on that still apply, because you don’t want to put valuable, fragile, or sentimental things in checked luggage where they might get broken, lost, or stolen. But beyond that, it really depends on how much you’re moving with, whether you have a moving company transporting your belongings, etc. If you have a moving company transporting your things, you can easily get away with packing some sentimental things with you that you don’t want damaged along the way, plus whatever you’ll need to get by before the moving truck arrives. can I bring a set of knitting needles in carryon luggage? Hi Patty, are you asking if that’s ok to go in your carry-on bag? As long as the souvenirs you buy are permitted items and you don’t go over the airline’s carry on allowances, you’ll be fine.